Well after all this time we have finally, Finally got back to writing blogs!!! It’s been so long and many stories to catch up on. It’s unreal how things just get left and you quickly get out of the habit of doing a certain job, In this case blogging, It really all goes back to roundabout the last post (many moons ago) and which we were looking to have a new website made for us so decided to drop it until it was done but that didn’t work out so good with that particular “design company” and so we just drifted away onto Facebook and Twitter but you just can’t explain a full story on those social media sites, As good as they are I’ve missed blogging. Anyway back to the now! As it’s our first post back and as my son has just broken up from school after his first year I thought this would be an appropriate place to start for the first one back. Not being the most knowledgeable parents about how school traditions go we realized that at the end of the school year it’s custom to bring the teachers something to say thank you. Realizing this after a bit of investigating! that most parents would bring flowers or bottles of wine or teddybears, Tins of biscuits, Sweets and as they probably have a room full of these gifts we wanted to give them something a little different – So we had this big thinking session and then it hit us!! 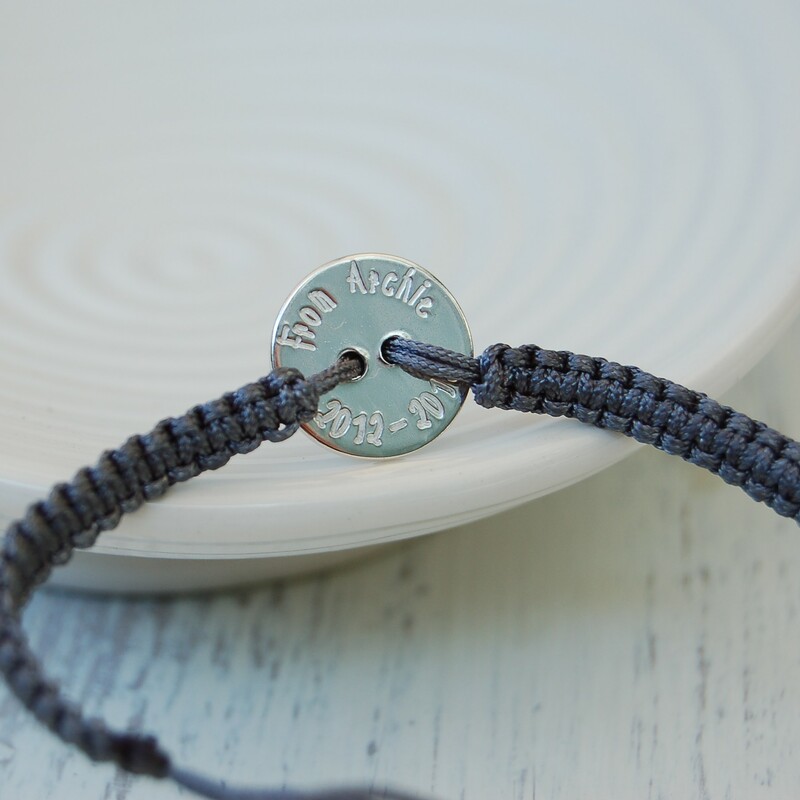 We make jewellery so why not make them a little something lol.We thought our Friendship button bracelet would make a lovely gift, not to overpowering but just nice enough for a little message. Although Archie (son) wanted to make them we had a hard job of convincing him that he couldn’t and that we would for him, Bless him! He does like to do everything and doesn’t like to take no as an answer so there was some tears and tantrums. 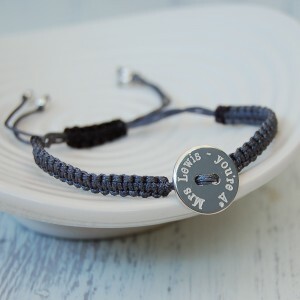 We have been looking at some new designs for friendship bracelets( out soon I hope) and we just bought some new cord to try out so instead of the just having the single strand cord we went with a multi layered cord which give it that look of a little more thickness. As you can see in the photo’s we had put a bit of thought into the design regarding the text, We used a typewriter font associated with schools from yesteryear and also the asterix we used for the star which we were quite proud of thinking of at short notice lol. On the back we used a kids handwriting font, We would have liked to have used Archie’s but unfortunately time was against us but it done the job and they were well received by the teachers, Well so they told us lol. Till the next post – Which hopefully will be somtime this year!